Key Difference: The Samsung Tab 2 7.0 is a 7-inch tablet that offers a PLS TFT LCD display, with approximately 170 ppi density. The device is also available in two versions; Wi-Fi only and Wi-Fi + 4G. The Wi-Fi only tablet is powered by a 1 GHz Dual-core processor and is available with the Android v4.0 Ice Cream Sandwich, while the Wi-Fi + 4G LTE tablet is powered by a 1.2 GHz Dual-core processor and comes with Android v4.1 Jelly Bean. 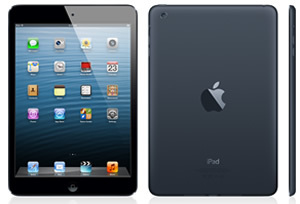 The iPad Mini is a sleeker, thinner iPad 2. The iPad Mini comes with a 7.9-inch LED-backlit multi-touch display with IPS technology touchscreen coated with a fingerprint-resistant oleophobic material. 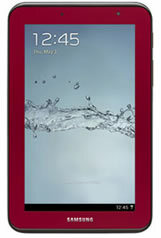 Samsung Galaxy Tab 2 7.0 is a major upgrade to the company’s original Samsung Galaxy Tab. The tab shares many features to its big brother The Galaxy Tab and the Galaxy Tab 7.0 Plus. The tab is actually a downgrade compared to the Galaxy 7.0 Plus, including the price of the tablet. However, during the launch it was also the only Tablet on the market at that time which served the Android Ice Cream Sandwich right out of the box. The device is also available in two versions; Wi-Fi only and Wi-Fi + 4G. Both the devices differ in a few areas so, when purchasing either device, make sure to once look over the various different features that are offered in the Wi-Fi + 4G, which are missing the Wi-Fi only model. Both the models offer similar dimensions and major features, with the differences being only with the processor speed, OS, camera features and colors. The Samsung Tab 2 7.0 is a 7-inch tablet that offers a PLS TFT LCD display, with approximately 170 ppi density. The Plane to Line Switching (PLS) differs from the IPS technology of the other tablets and while it provides decent wide viewing angles, it still has a high propensity for reflecting surfaces. The display also lags compared to the other IPS displays with higher resolutions. The tablet is small and sleek compared to the other 7-inch devices making it lighter and easier to hold. The device has a sturdy design and has an all-grey plastic back. It has a thick bezel with a light grey screen. The device houses the power button, the volume button and the IR-port on the right side of the device, the microSD card slot is placed on the left side covered by a plastic flap. The 3.5mm jack is on top of the device and docking port is at the bottom. The Wi-Fi only tablet is powered by a 1 GHz Dual-core processor and is available with the Android v4.0 Ice Cream Sandwich, while the Wi-Fi + 4G LTE tablet is powered by a 1.2 GHz Dual-core processor and comes with Android v4.1 Jelly Bean. Both devices offer 1 GB RAM and are available with 8/16/32 GB internal storage capacity that is expandable by 32 GB. The tablets house a 3.15 MP rear camera and a VGA front camera for video conferencing. The VGA camera is a downgrade from the 2 MP offered on Galaxy Tab 7.0 Plus. The camera also comes with a Flash that is placed under the camera on the back of the device. The 4 LTE tablets also come with additional camera features such as: Smile Shot, Geo-tagging, Editing Modes, Camcorder, DivX, HD Recording, HD Playback, Video Share and Online Image Uploading. Both the devices sport IR blasters, which allow the tablet to be used as a fully-functioning remote control. The device houses a non-removable Lithium-ion 4,000 mAh that provides a lasts a good amount of time on the Wi-Fi as well as the 4G network. The device is available in black and white on the Wi-Fi + 4 LTE, while an additional Garnet Red color has been added to the line for the Wi-Fi only tablet. Both the models come with various built in Samsung Applications and have been approved for Enterprise by the Company, something known as SAFE (Samsung Approved for Enterprise). This includes an array of business applications such as: Microsoft® Exchange ActiveSync, Virtual Private Network (VPN) Access, Polaris® Office, Video Chat, Cisco WebEx, EAS IT Policy, HW Encryption and Sybase Afaria. However, it lacks in terms of tablet based applications in Google Play. Well, that is not exactly Samsung’s fault but it is one of things that have been keeping pushing sales of Apple tablets more than Android Tablets. Google Play has not been able to offer enough applications that support the tablet format. This problem should only be temporary as the demand for tablets is on the rise in the market. The information for the detailed table about the two phones has been taken from the Samsung website, pcmag.com, engadget.com, Apple website and GSMArena.com.